Fay Fuller is remembered for being the first woman to successfully reach the summit of Mt. Rainier. The second woman to reach that lofty goal is forgotten, not unlike the second person to walk on the moon. 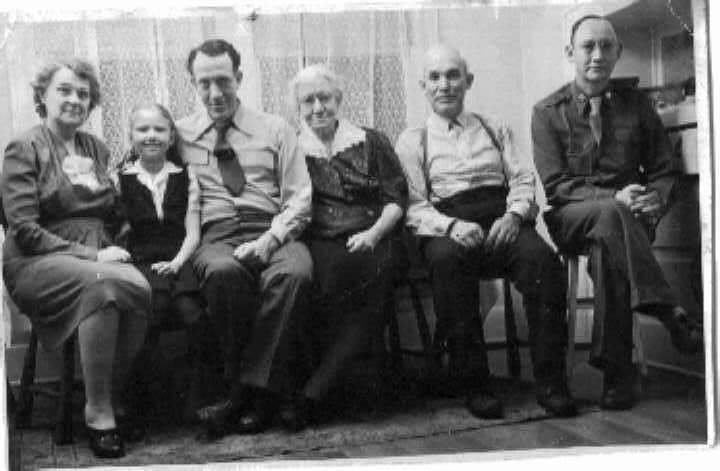 Edith Corbett, a teacher from the Yelm area, was that second woman. Corbett had been on the same history making climb as Fay Fuller, but sickness discouraged her from attempting the climb all the way to the top. 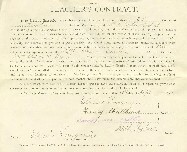 In July 1891, however, Edith returned to the mountain. Len Longmire, who served as guide recalled the ascent in an interview he gave in 1937. According to Longmire the party included his father Elcaine, Len’s sister Sue Longmire (who was only 13 or 14 years old), Hans Paulson (Polson), Miller Cooper, Edward T. Allen, and Dr. E. A. Stafford. Corbett was on the top of the world that summer’s day. Edith Corbett was born in Alameda, California on August 25, 1869. Her mother, Margaret Anne (Johnstone) Corbett, was an immigrant from Nova Scotia. John Jay Corbett, Edith’s father, had been raised in Ontario, Canada, before heading to the Pacific coast. Margaret and John, inspired by their newly adopted nation were married on July 4, 1868 in San Francisco. Margaret and John Corbett had four children altogether. In addition to Edith there was Albert Jay (born January 16, 1873 and died shortly thereafter); Florence May (born May 1, 1875); and Laurence Jay (born May 19, 1877). According to the 1880 census John Jay Corbett was the proud owner of a restaurant. The good times, however, came to a crashing halt in 1882. Margaret died. Edith was barely a teenager. Laurie was only 5. Some time during the 1880’s John Corbett moved his family north to the Washington Territory. They settled near Tacoma. John Jay passed away there in January 1890. 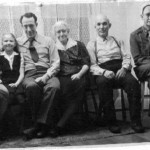 Not yet 21, Edith was now the elder of the family. What transpired at this point is unclear. Whether she was already teaching at this point is unclear. It was, however, during this time that she would have first met Fay Fuller. 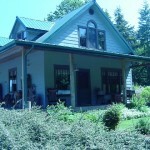 Fuller, worked as a teacher in Tacoma in the 1880’s when the Corbetts arrived from California. 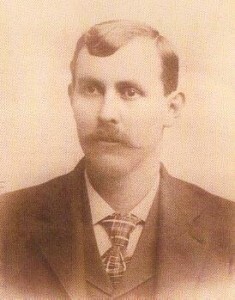 By 1890, Fuller was in Yelm. With the death of their father in January 1890 it is quite possible that Edith Corbett and her siblings had moved to Thurston County. A granddaughter of Edith Corbett, Claudia Stone Hurd, recalled she had been told that Edith had lived with the Longmire family as an orphan. 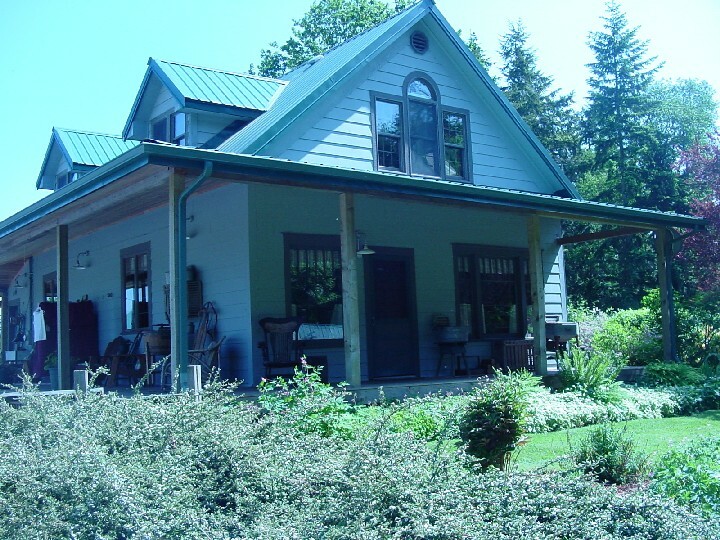 In August 1890 a group of mountaineers gathered in Yelm. Among the climbers who planned to reach the summit were two women, Fay Fuller and Edith Corbett. Leaving Yelm the party followed the Yelm trail to Paradise Park. There they established their base camp. The trip to the summit would start the following morning. By the next afternoon Edith would be looking across the state of Washington from 14,000 feet. That dream was not to be fulfilled. Edith became ill. She stayed at the base camp while the others headed to Rainier’s frozen summit. Fay Fuller climbed into history by herself that day. Edith Corbett, however, had made her mind up about scaling that mountain. The next year, 1891, would be her year for being on top. She was not to be the last Corbett to climb Rainier. During the summer of 1892 Laurence Corbett was staying at the Longmire Hot Springs with his pal, Len Longmire. Laurence Corbett was by then quite anxious to match the feat of his sister. Constantly he pestered Len about guiding him to the summit, like he had done for his sister the year before. One morning Len woke up 15 year old Laurence with the words, ‘Let’s go up now.’ On September 3rd, they sat on the summit. He was not the last Corbett to climb Rainier. In the 1920’s Edith’s son, Edwin, would spend time on the mountain as a proud member of the Washington Alpine Club. 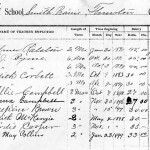 The documentary record is incomplete as to how Edith Corbett obtained her teaching certificate. 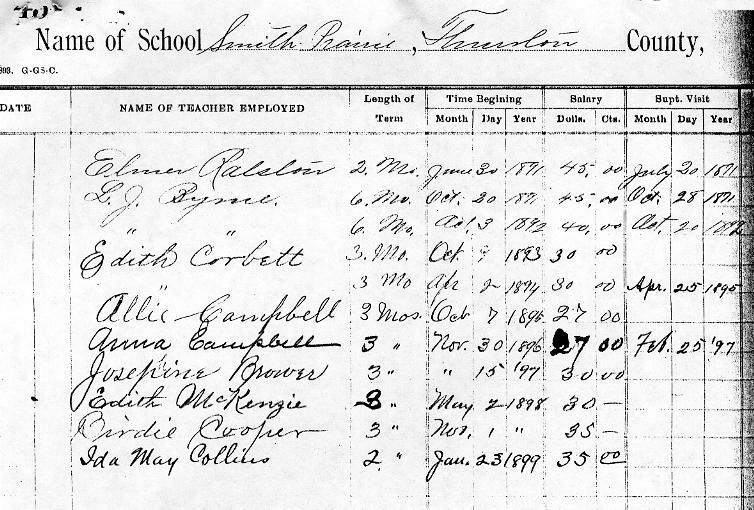 A list of teacher’s tests scores from Thurston County includes her name, but it appears that she did not take the teacher test in 1897 or 1898. That was late in her career and by then she was working under a grade 1 certificate and probably did not have to be tested. The first day of school in Edith Corbett’s career is not known. 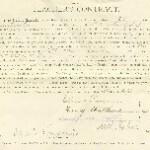 Her professional paper trail picks up in 1892. For the next seven years Edith Corbett taught the children of south Thurston County. Hers was a busy life. 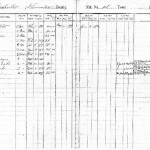 Records for area schools include the following entries for her from 1891-1899. 1892, April Deschutes #28 3 mos. 1893, June Rainier #12 1 mo. 1893, October Smith Prairie #41 3 mos. 1894, April Smith Prairie #41 3 mos. 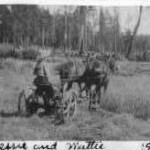 1896, October Tebotten #53 6 mos. 1899, March Stoney Point #27 3 mos. When school let out that spring (1899) Edith left the teaching profession. She married Peter Stone, a Bald Hills resident whom she met while working in south Thurston County. 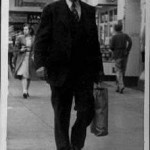 In a 2004 e-mail, Janet Stone McGowen Randall, a granddaughter of Edith and Peter, wrote that Peter Stone’s name had been Pierre St. Martin La Pierre before becoming Anglicized. Peter’s father Jacob Stone was born in 1831, in Quebec. This implies that Jacob would have entered the area in the employ of the Hudson’s Bay Company. Jacob’s wife was named Margaret. In the 1870 census she was identified as being “colored.” A great grandson, Edwin McGowen, stated in 2004, that Margaret was Nez Perce. A granddaughter, Claudia Stone Hurd, recalled correspondence between her father and the Steilacoom tribe in the 1960s. In 1880, Margaret was listed as being white. The next year Peter Stone was born. Peter had two older sisters Louise and Mary, with Rosa following Peter in four years. There were also two brothers, Johnnie and Joseph. Margaret and Jacob were an example of the “metis” culture that had developed across the Hudson’s Bay Company’s world. French Canadian men married native women. 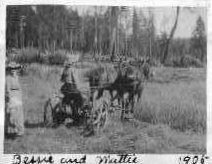 A number of “metis” families lived southeast of Yelm. Several of these families are depicted in Ada Woodruff Anderson’s “The Heart of the Red Firs,” including a Laramie family. The Laramie cemetery, named after the real metis family, has two members of the Stone family buried there. The Stone family was living near the Elcaine Longmire farm in 1880. “Yelm Pioneers and Followers, 1850-1950” states that Jacob received his citizenship on June 21, 1883. A year later he acquired 160 acres, probably through the Homestead Act. An 1888 directory of Yelm includes Jacob Stone, farmer. The elder Stone’s must have died shortly thereafter. “Yelm Pioneers” states that Elcaine Longmire became guardian of the Stone children after the death of the parents. When this happened is unclear. It is probable that this refers to Rosa, Johnnie, and Joseph since Peter and the older sisters would have been in their twenties when this happened. Stone family stories placed two or more of the Stone boys in an orphanage run by Catholic nuns, but that is the extent of the story. Peter’s brother Joseph remained a part of the extended family, living with his nephew (Peter’s son Edwin) between stints of work in the woods. The Elcaine Longmire connection is important in another way. Elcaine was on the board of directors for the Morehouse school where part of Edith Corbett’s contract called for her to board with one of the residents of the district. Maybe this was with Elcaine Longmire. 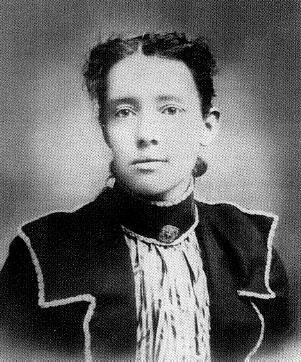 Edith lived with the Longmires, possibly as an orphan, but certainly as a teacher. Both of these place Edith Corbett at a location where she would have made the acquaintance of Peter Stone. Elcaine’s daughter, Sue, became a good friend of Edith Corbett and climbed to the top of Mt. 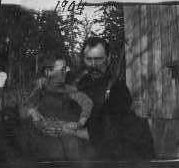 Rainier with Edith in 1891 on the party led by Elcaine. A few years later, Elcaine’s son Len accompanied Edith’s brother Laurence in his climb to the summit. Edith Corbett Stone became a mother on April 26, 1900 when she gave birth to her son, Edwin. Seven years Robert Laurence was born while the family was living in Spokane. 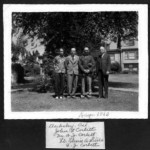 Edith, Peter, and young Edwin were certainly in eastern Washington in 1904 which is when some photos in Edwin’s album were dated. This is the same time that Edith’s brother, Laurence was working in Spokane. 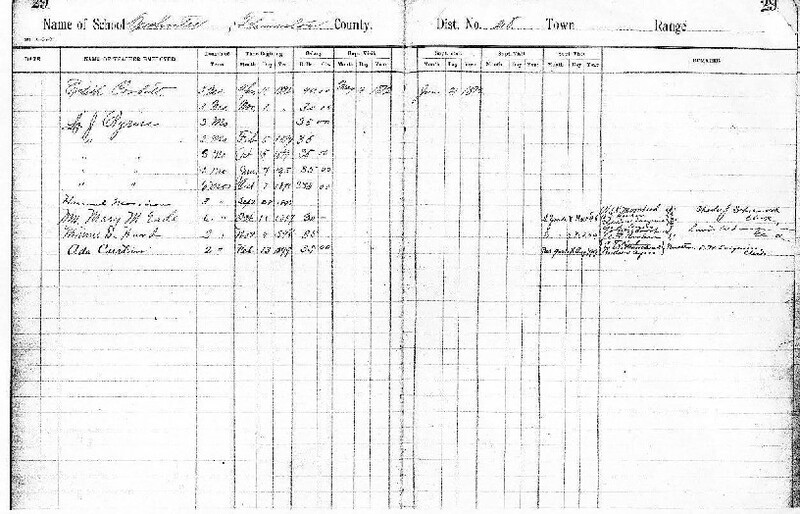 Peter, according to the census of 1910, worked as a laborer in steam plant that year. 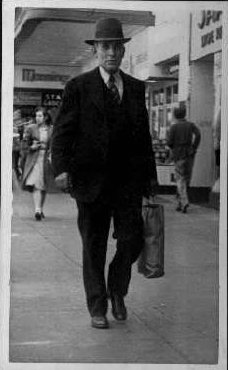 In 1906, Peter’s brother in law, Laurence, was working as an engineer for Washington Water and Power Company. Maybe Laurence was able to help supplement the farm income of Peter and Edith by providing industrial employment. 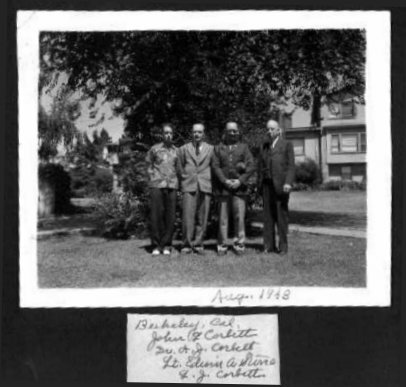 At the end of World War I Laurence Corbett headed back to the Bay area. Peter, Edith, and the lads returned to the west side of the Cascades. The 1920 census records Peter working as a car mechanic in Enumclaw. Edwin was now 19, Robert was 13. Four years later tragedy struck. Peter Stone died. One of his granddaughters recalled that he was struck in the head, possibly by falling sacks of grain, and died a few days after, on November 23, 1924. Robert Lawrence graduated from high school the next year. Edith was now alone. In 1930, Edith Corbett was working as a housekeeper. When she stopped working in this capacity is uncertain. Word has been received here of the death of Mrs. Edith C. Stone, pioneer resident of Tacoma and vicinity, who died Tuesday in a Seattle hospital. Mrs. Stone, who came here over 60 years ago, was the first school teacher in Des Moines and also prided herself on being the second woman to climb Mt. Rainier. Edith Creek on the mountain was named for her and the Longmire hot springs were named for her grandparents. Although she had resided in Seattle during the past few years she also lived in Thurston County, Tacoma and various parts of Pierce County. Her husband, Peter M. Stone, who died in 1924, was also a member of pioneer homesteading family in this vicinity. She is survived by two sons, Edwin A. and Robert, both of Seattle; a brother, Laurence J. Corbett of Alameda, Calif., and a sister, Mrs. Wilson Johnston of Portland. Funeral services will be held in the Bonney Watson chapel in Seattle Friday at 11 a.m. followed by burial in Washelli Cemetery.